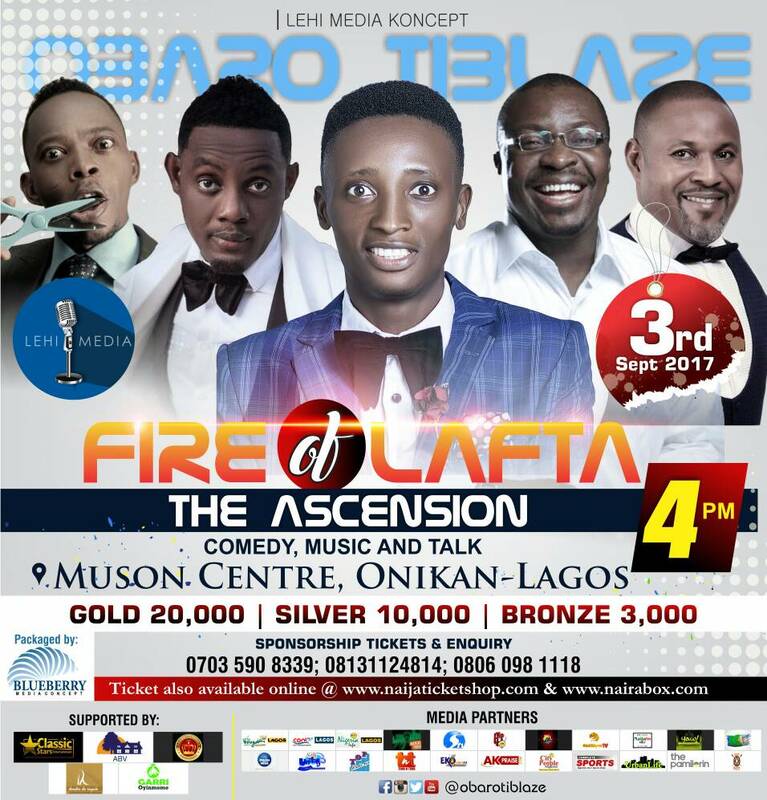 'Fire of Lafta' With #ObaroTiblaze Ft. Saidi Balogun, AY, VJ Adams & Others On Sept. 3 - Get Your Ticket Now and Get Ready For "The Ascension"
Yayyy, the anticipating comedy show is finally here! Are you ready to kill the boredom with some ignited laughter? 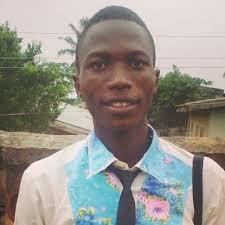 Then, Be Vigilant to be burnt with Laughter from the talented Obaro Tiblaze. Have you ever seen a Building without Foundation stones or blocks? Have you ever witness a burning flame without fire? Have you ever heard of Comedy that will made you forget your sorrow? Well, you are about to witness one very soon without “Laughter’s Celebration” at “Fire of Lafta” (The Ascension) of this year 2017 edition with #ObaroTiblaze. Seeing is Believing; come and witness a total mind-blowing and hilarious comedy as #ObaroTiblaze and his friends together with other featured guest performers take you on a smooth ride to the city of Happiness imbibed with classic comedy, Scintillating musical performances, and inspirational Talk. Venue: Muson centre Onikan Lagos. Date: Sunday September 3rd, 2017. Fully Supported by : Abimbola ventures, Classic star entertainment, Dendes de ROYALE. …… If there’s no smoke without fire, then there’s no laughter without #ObaroTiBlaze! REVEALED: This Method is known by some top marketers who're making monster commissions regularly. 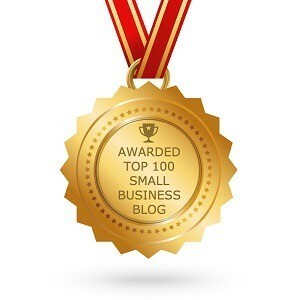 And now… YOU ARE GOING TO BE A PART OF THIS E-COMMERCE GIANT!